Aventura is a suburb found in the northeastern area of Miami-Dade County. The city has a population of just over 37,000 residents and is a part of the larger Miami Metro area, which has a population of nearly 2.5 million residents. The city is most known for the Aventura Mall, which covers 2.4 million square feet and provides one of the most popular shopping malls in the Miami area. The Turnberry Golf Course is also found nearby and both of these attractions bring many people to the area every month. Miami-Dade County averages more than 45,000 traffic accidents every year. Nearly 38,000 people are injured in a traffic accident in Miami-Dade County every year. The Florida Section of I-95 is known as the most dangerous stretch of highway in the USA. Miami-Dade County is also home to "The Most Dangerous Intersection in America" found at Flamingo Road and Pines Boulevard. In addition to the 2.5 million residents in Miami-Dade County, millions of tourists visit every year. A survey called the 2014 Driver's Seat Road Rage Survey listed Miami as seventh on the list when it come to the least courteous drivers in the United States. If the traffic laws were not enforced in the Aventura, it would be far worse. More than 470,000 traffic violations were issues in Miami-Dade County for 2015. Out of these violations over 89,000 were for speeding with another 54,000 issues for careless driving and over 161,000 came from the red light cameras. If you continually violate the traffic laws in Aventura, you will have your driver’s license suspended. It only takes a few of speeding tickets to accumulate enough points for the state to suspend your driving privileges. Drivers accumulating 12 points in 12 months will go 30 days without a license. 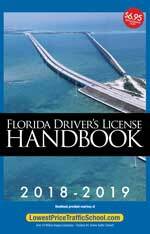 If you accumulate 18 points in 18 months, you will lose your license for 90 days and 24 points in 36 months will land you a full year's suspension. Considering every infraction may lead to 3 to 6 points on your license, it doesn't take many infractions to rack up the points. Not only will the points cause your license to be suspended, but they will also cause your insurance rates to go up. You will also need to pay additional fees to get your license reinstated. By taking the online Basic Driver Improvement School, you can eliminate the points from a traffic violation issued in Aventura, Florida. After you plead guilty or no contest and you pay the ticket, you may be able to enroll in online traffic school. You will be able to complete the course right online and receive a certificate of completion. You will need to turn the certificate of completion into the county clerk of the county issuing the ticket. Then, the points will be removed and your insurance rates won't be able to go up. 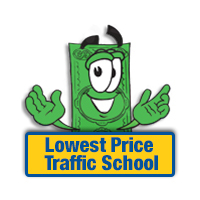 Are You Eligible for Traffic School in Aventura? The State of Florida allows all drivers to erase the points of up to five violations by attending traffic school. However, you will only be eligible to enroll in online traffic school once every 12 months. You can check with the clerk of the court to find out if you're eligible for traffic school when you pay your ticket. The Miami-Dade County Clerk of the Court handles payments and processing of all traffic tickets issued by law enforcement in Aventura. If you're eligible for online traffic school and you plan to attend, notify the clerk of the court when you pay for your ticket. You can find out more about the Miami-Dade County Clerk of the Court by visiting their website.